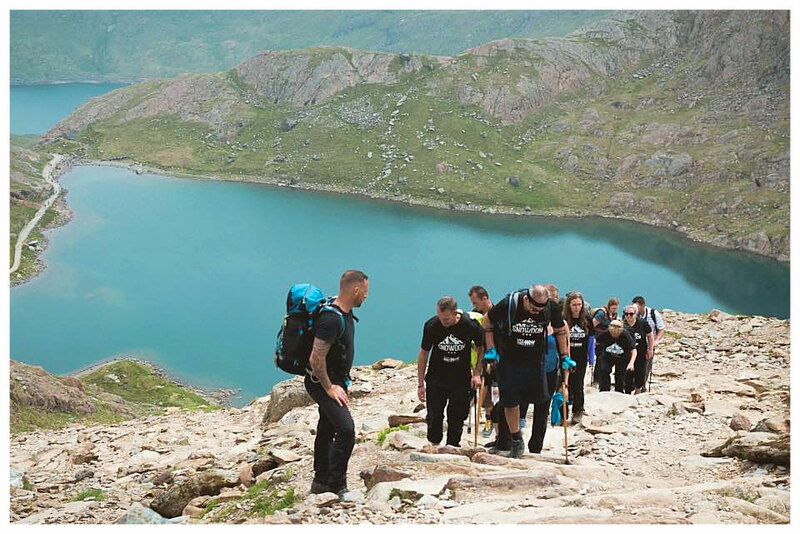 On May 20, 2018 a group of determined, inspirational people set off on an amazing challenge to become the first amputees to climb Mount Snowdon, the highest mountain in England and Wales. Equipped with food and water, donated by local supermarkets, branded merchandise including rucksacks, water-bottles, hats and clima-cool t-shirts, organised and supplied by well-wishers and supporters and all armed with first aid kits and hiking sticks, the Steel Bones team set off up the miners track, which is approximately four miles from the starting point to the peak. Some of the amputees chose to climb Mt. Snowdon with just their crutches for support. Others decided to use their prosthetic limbs. The climb was undoubtedly arduous for all involved with the whole journey taking around eight hours to complete, covering a distance of ten miles, and a staggering 723 meter climb, with just a few short rest stops in between. In places the path crosses unstable rock face, tough for even the able-bodied climbers, and so for amputees the ascent was extremely challenging. During both the ascent and descent fellow climbers were congratulating the team, some even offering cash donations to support the cause! Team Snowdon raised over £12,000 for Steel Bones UK, enabling the continuous support for both individuals and families that have suffered the trauma of limb loss across the UK. Guest post by Steel Boines UK. Steel Bones works to connect the amputee community, create friendships and provide an extensive proactive support network by sharing latest news on stump health, promote healthy and active lifestyles, signpost useful services, therapists, personal trainers, sports clubs and provide flexible career opportunities through partners and associates. For more information about Steel Bones UK visit www.steelbone.co.uk. Watch the Mt. Snowdon video produced by sponsor and fellow climber Sieve Studio. For general information please contact hello@steelbone.co.uk.